Before Lonergan was one of the most acclaimed playwrights and filmmakers of his generation, he was like most young writers: hunting for work and for money. He and his friend Andy Yerkes wrote a pair of 1993 episodes for "Doug." How it happened, the 55-year-old playwright can't recall. "Or why they only wanted us to write only two episodes," said Lonergan. "I guess they didn't like our episodes very much. I thought they were OK."
"Howards End," a BBC production that Starz will premiere Sunday, may be Lonergan's second TV credit but — no offense to "Doug" — it's his most substantial small-screen effort yet. 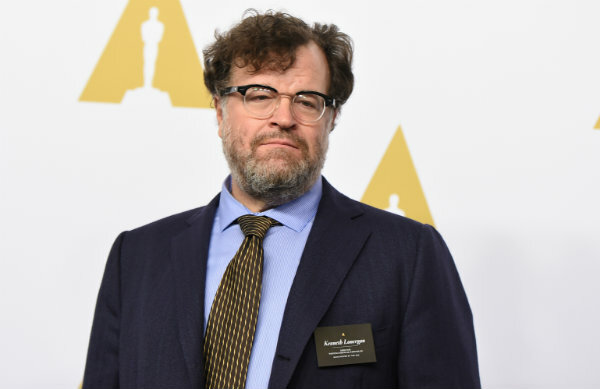 Lonergan wrote the four-hour series, directed by Hetti MacDonald and starring Hayley Atwell, while working on "Manchester by the Sea," for which he won best screenplay at last year's Academy Awards. Exhausted from the rigors of that Oscar campaign ("Those events really take over your consciousness, not just your life," he says) Lonergan opted not to direct the British series and instead concentrate solely on adapting the book about three rungs of society in Edwardian England: the high-minded Schlegel sisters, the wealthy but obstinate Wilcoxes and the unfortunate Basts. In a recent interview, Lonergan discussed making "Howards End" — previously made into the 1992 Merchant-Ivory film, with Emma Thompson and Anthony Hopkins — seeing his 2001 play "Lobby Hero" revived on Broadway and whether the #MeToo movement has been fair to "Manchester" star Casey Affleck. Q: Had you been tempted by television for a while? Was it inevitable that you'd try it? Lonergan: Probably. For a long time before I started screenwriting, I never had an idea for a movie. Once I finally had one, more came. It wasn't that I didn't want to write for the movies. I just always thought in terms of plays. Since then, I've been thinking in terms of plays and movies, and now, possibly, I'll think in terms of plays, movies and television. Q: Was Forster's book meaningful to you? Lonergan: No, it wasn't, actually. I had tried to read it earlier in life and not been engaged by it. But I read it when they offered me the assignment and it's something I actually came to admire more and more as I worked on it. Q: What do you admire about it? Lonergan: When you put his dialogue into scene form, it really comes to life quite beautifully. Possibly because it's a different time and place, a lot of the humor is more evident when you put it into teleplay form than it is when you're reading it. It's really kind of an amazing structure. And it has a great feeling of kindness and humanity to it. Some of it's a bit schematic and some of the characters are better drawn than others, but as you're working through your teleplay looking for material to plumb, you just find more and more. Q: That compassion and wit make it a good fit for you. I imagine you're unlikely to write anything that doesn't include some humor. Lonergan: Yeah, you have to be really good to get by without any humor. It's almost impossible. Q: Did the movie of "Howards End" intimidate you at all? Lonergan: Not so much. I had only seen the film once. I liked it but it wasn't a film that loomed large in my life. "A Room With a View" is a film that I've seen many times and that I love. The tone that they strike in that movie is so specific and so lively and so full of feeling and humor and beauty. "Howards End" is obviously very different and it can be a bit more ponderous. And the form is so different. The original film isn't over two hours long. They just have to pare away so much. Q: Why is it, do you think, we keep coming back to "Howards End"? Lonergan: It seems to me that one thing it's about is people coming up against the limits of their own experience, and also finding the value in their own experience. There are some things the Wilcoxes just cannot handle and that the Schlegels are very good at, and vice versa. Q: Especially good is the scene where Margaret Schlegel criticizes Henry Wilcox as "muddled, criminally muddled" for the hypocrisy of his double standards. Lonergan: It's just very perceptive of her. She also says in the same speech that "I'm tired of your unweeded kindness," which is a really good phrase. Because he is kind but it's not very well sorted through where he applies his kindness. But I often feel criminally muddled myself, so maybe that's why I sympathize with him. Q: You wrote a letter to the college paper of your alma mater, Wesleyan University, defending Affleck who in 2010 settled two civil suits of sexual harassment. You wrote "an allegation is not an indictment" and lamented "unsubstantiated details" becoming presumed facts. Do you think Affleck, who withdrew from presenting at last month's Oscars, has been treated fairly? Lonergan: I think he's been treated terribly and I wish I had written that letter to everybody, not just to my college paper. I didn't even quite realize who I was writing it to. I think he's being treated abominably. It's not a model everyone should be looking to follow, no matter what the reason or what the greater good may be. I seriously doubt this could serve any good of any kind, how Casey's been treated. Q: Some have said "Lobby Hero," about a series of moral dilemmas including one involving a police officer's sexual harassment, is timelier now than it was in 2001. How does it sound to you, 17 years later? Lonergan: It sounds pretty good to me. The production is very good. The cast is great. It's been fun to revisit. It seems to hold up pretty well.